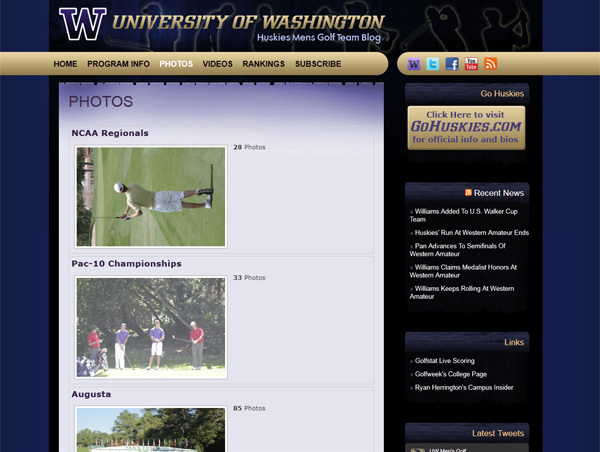 The Husky Golf manager needed a new look for their blog, Husky Golf Blog. 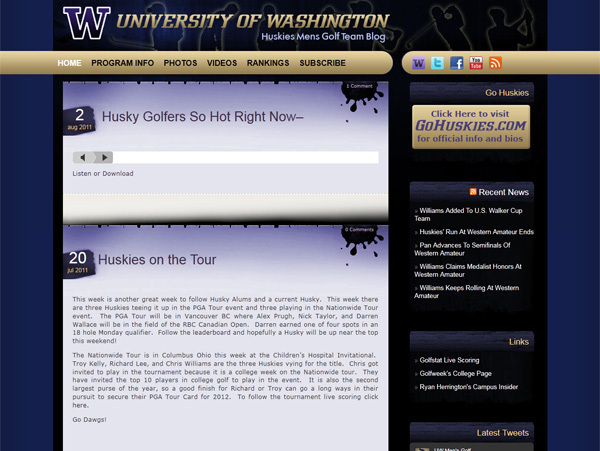 I gave it a whole new facelift with vibrant Husky colors and custom layout. 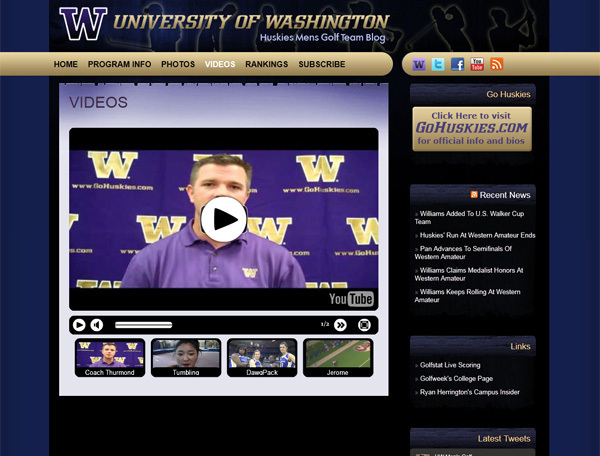 This WordPress-based blog incorporates a gallery, video and Facebook/Twitter feeds.